SPS ADVANCE T: Reliable protection in tower format for computer rooms require power supply continuity and dependability. They come in a very compact tower format to save space in server and computer rooms. They also feature line-interactive technology to combat any fluctuations in the mains supply together with an output voltage that is always sine-wave, the highest quality possible to power all sensitive loads. For easier and more convenient use, they feature a display that shows all necessary information on the operation of the device and power supply (input/output voltage, % load, % battery, etc.) and a wide range of communication options through the USB interface with HID protocol, monitoring and management software (downloadable) and integrated smart slot (SNMP). 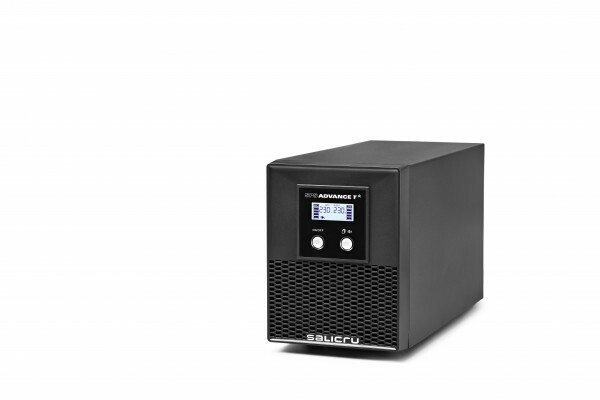 Also noteworthy is their compatibility with current APFC (active power factor correction) power supplies. The power range for the SPS ADVANCE T series is: 850, 1,000, 1,500, 2,000 and 3,000 VA.